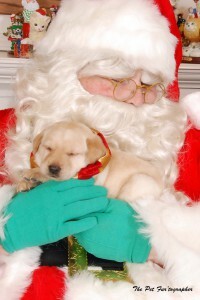 Mansfield Feed is excited to offer Santa Paws pictures! The Pet Fur’tographer & Santa Paws will be in the store on Saturday, November 23rd from 10 a.m. to 2 p.m. to take pictures. Call Laura Long-Edwards at 817-419-6592 or register below to set up an appointment. Walk-ins are welcome! The cost ranges from $10 to $40. Pet Fur’tographer has other packages available for purchase. They can also do greeting cards & other gift items like mouse pad, coffee cup & etc. Don’t wait in long lines to see Santa at the mall, come see our Santa. You don’t have to have a furry kid to sit on Santa’s lap! The Pet Fur’tographer, Laura Long-Edwards, is a freelance photographer. She takes pictures of pets, family, weddings, bridals, engagement, special events and road trips. She never leaves home without her camera in hand. This entry was posted on Friday, November 22nd, 2013 at 8:01 am	and is filed under Events, News & Updates. You can follow any responses to this entry through the RSS 2.0 feed. Both comments and pings are currently closed.